When a person is unable to make decisions about their care, living situation, finances, or property the courts may appoint a Guardian and/or Conservator. Court-appointed guardians/conservators manage the personal and/or financial affairs of vulnerable persons who can no longer safeguard themselves. Guardian: Person(s) appointed by the court to make the personal decisions for the incapacitated or underage person, also known as the ward. The guardian has authority to make decisions on behalf of the protected person about such things as where to live, medical decisions, training and education, etc. The Administrative Office of the Courts Trial Services Division maintains resources on the Judicial Branch Guardian and Conservatorship Webpage to be used by guardians and/or conservators. The page contains informational materials and educational referrals. A review committee of judges, court staff, legislators issued a Report of Final Recommendations on the status of adult guardianships and conservatorships in Nebraska on October, 2010. Since that time, court staff, judges, lawyers, committee volunteers and advocates for the elderly have been working toward implementation of approved recommendations. Additionally, court representatives continue to work closely with the University of Nebraska Extension Office to maintain informational guides regarding the guardianship and conservator process. Programming is guided by the Supreme Court Commission on Guardianships and Conservatorships with project and form development implemented by the Administrative Office of the Courts. 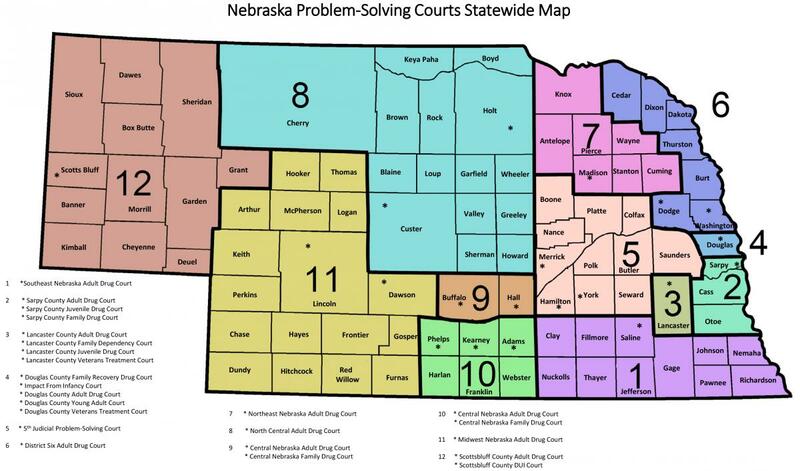 Guardian/Conservator Laws and Rules can be found in the Nebraska Statutes (Neb. Rev. Stat. §§ 30-2601 - 2661) and the Supreme Court's Uniform County Court Rules of Practice and Procedure (§§ 6-1401 to 6-1465). If you have reason to believe a vulnerable adult has been abused, neglected, or exploited, call the 24-hour toll-free hotline at 1-800-652-1999 OR your local law enforcement.